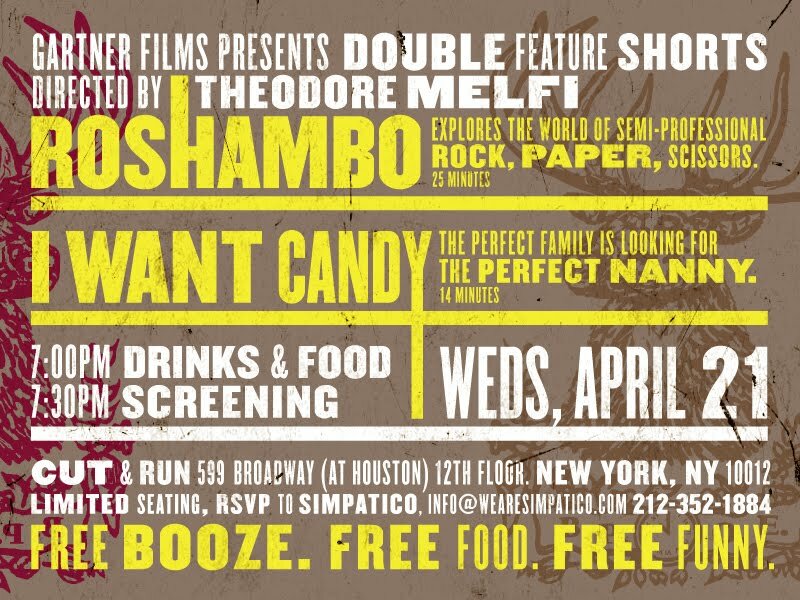 After a successful West Coast screening, Ted Melfi will be taking over New York for another night of funny. 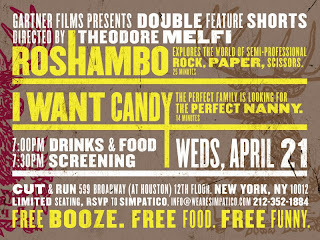 Join us on Wednesday, April 21st for the East Coast debut of his two newest short films, "Roshambo" and "I Want Candy". Hope you can join us.